Kenrex reningsverk serie N för rening av avloppsvatten från 25 till 300 person ekvivalenter (PE). Reningsverket bygger på pålitlig traditionell biologisk avloppsrening från lokaler, hotell, företag, restauranger, samfälligheter mfl. Reningsverket kan enkelt anpasas till olika förhållanden genom enkel konstruktion. Wastewater flows by gravity to the WWTP and there is no need to have a built-in pumping shaft. 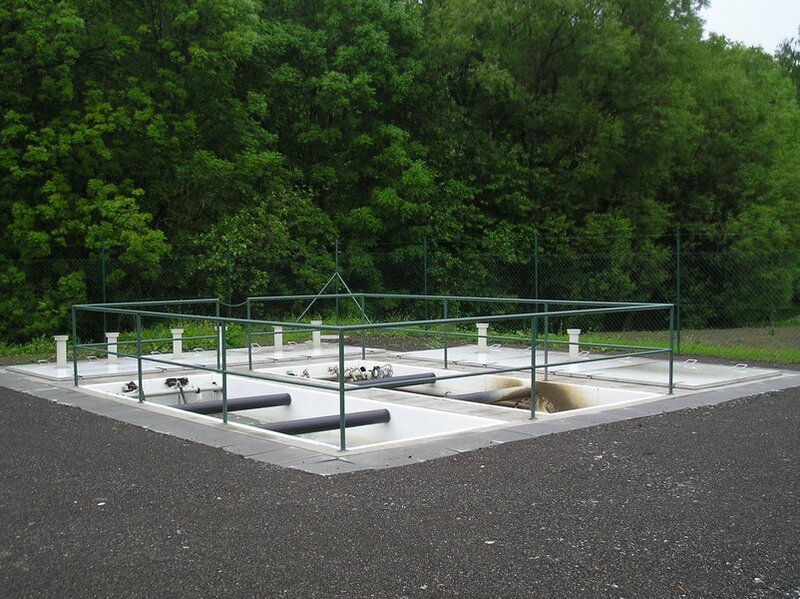 The WWTP is designed for locations where wastewater has to be pumped, due to the height conditions of the inflow. 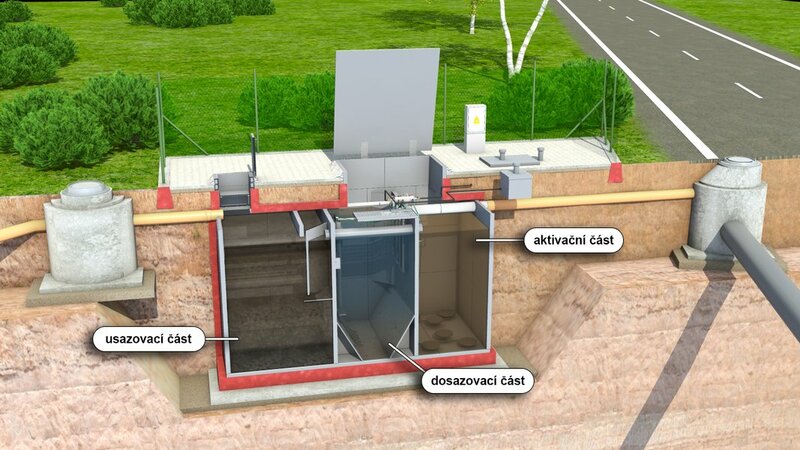 The AS-VARIOcomp N biological wastewater treatment plant (hereinafter only referred to as a WWTP) continues the proven line of WWTPs known under the trade name AS-VARIOcomp V. The changes result from the requirements of the ČSN EN 12255 European Standard, parts 1-16. 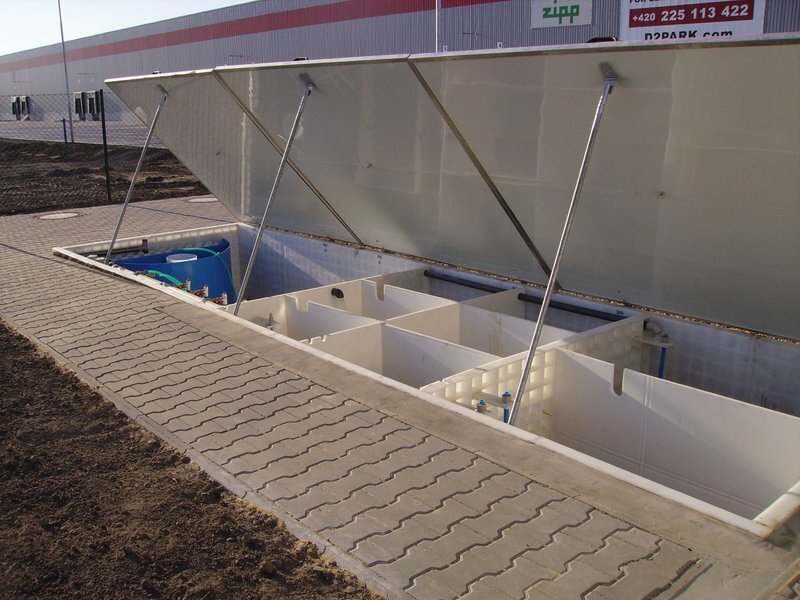 The WWTP is designed for the treatment of sewage from shops, hotels, businesses, and residential units, as well as parts of municipalities. 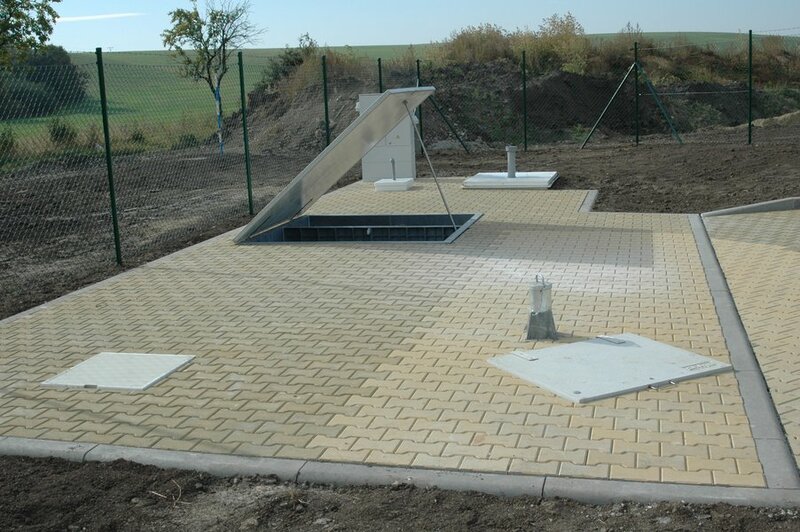 The advantages of the WWTP are its easy adaptability to local conditions and the simple design of the technology. 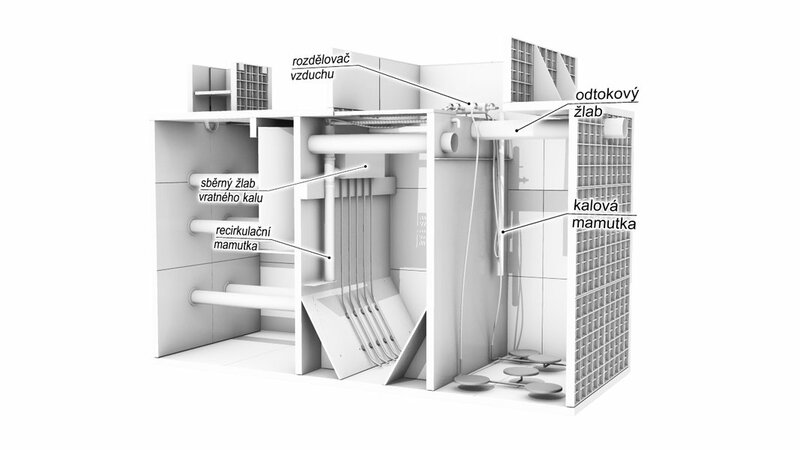 WWTPs of a larger size can be designed through combinations of the basic line (e.g., a WWTP for 200 PE consists of two WWTPs for 100 PE). 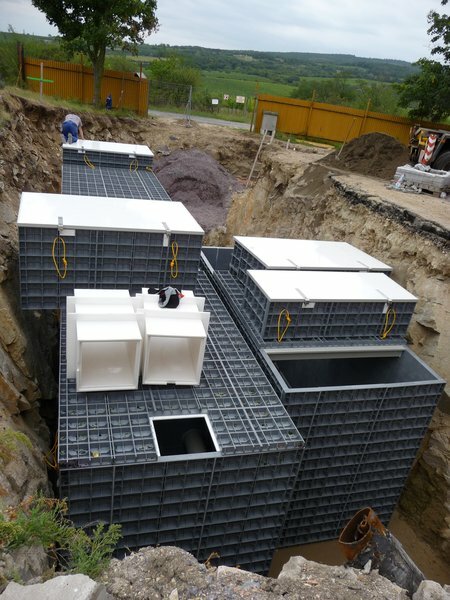 + The WWTP must be installed on a reinforced-concrete foundation slab. 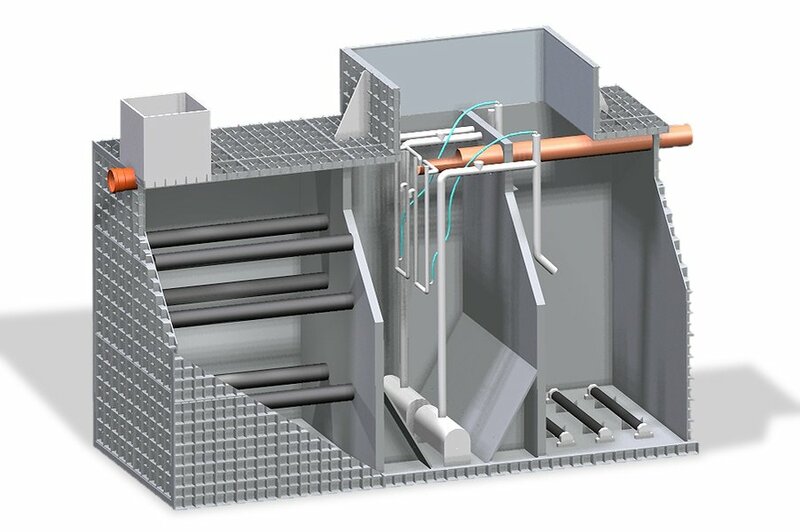 + The WWTP for 30-50 PE is equipped with an inlet as extensive as the tank’s footprint. + The WWTP must be embedded in concrete, incl. the ceiling. 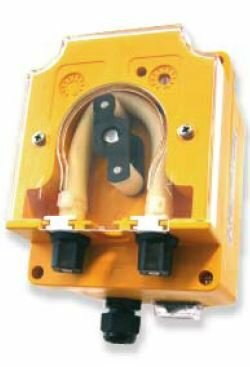 + The connections of the inlet and outlet pipes must be made of flexible joints. + The blower is installed in a separated plastic and ventilated housing that is part of the delivery of the technology. 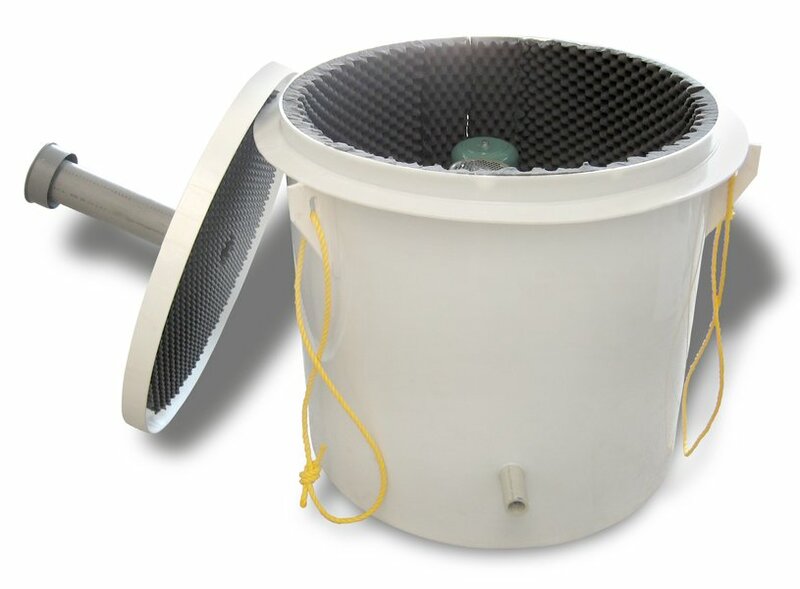 The plastic housing of the blower may be installed inside the WWTP, or better outside it. 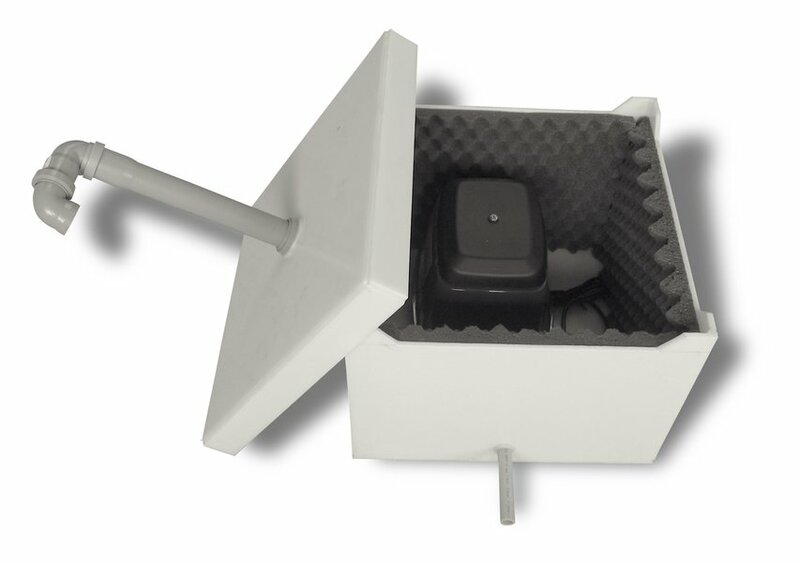 + The electric switchboard can be positioned in a lockable plastic stand near the WWTP, or on the wall of the nearest building (e.g., a warehouse or garage) and interconnected with the blower using a sleeve with the minimum dimension of DN 100 (in the N PUMP version, with the WWTP as well). Wastewater flows to the settlement compartment of the WWTP, which at the same time serves as the reservoir for excess sludge. Settling and floating pollutants are captured there. In the activation compartment of the WWTP, mechanically pre-treated water is subject to a final biological treatment. In the secondary settlement compartment of the WWTP, formed sludge flocs settle and treated water is subsequently drained. Thickened sludge automatically returns to the activation part from the bottom part of the secondary settlement tank. A part of activated sludge from the activation compartment is exhausted as excess sludge to the sludge tank. 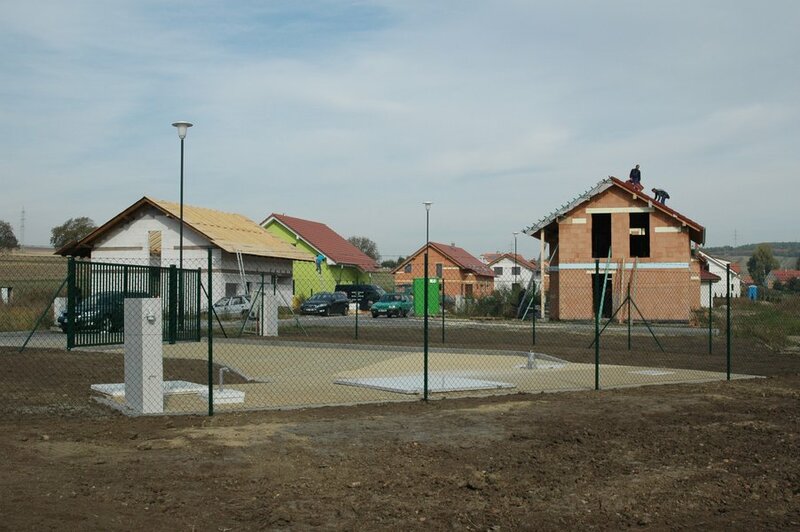 Unlike the AS VARIOcomp N type, the WWTP is supplemented with a precipitant dosing device to reduce the content of phosphorus in treated water. 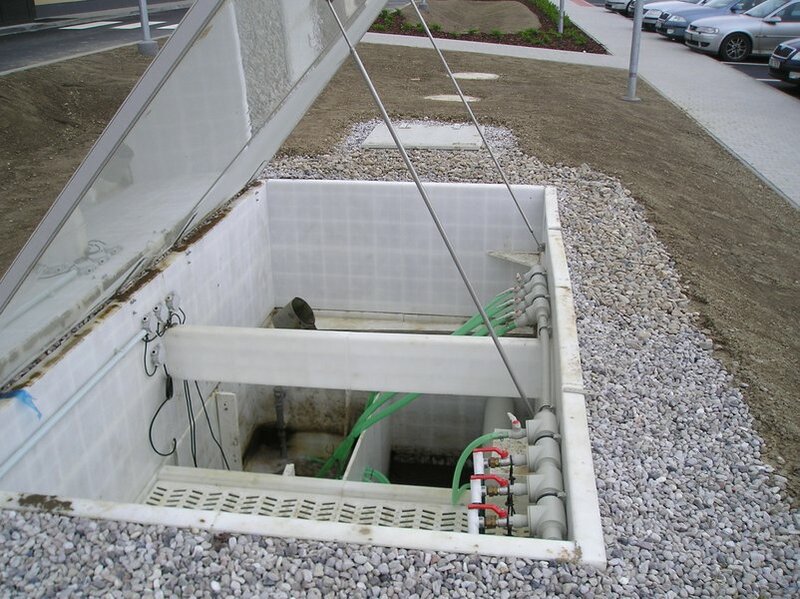 The precipitant dosing device can be installed inside the WWTP without any additional structural modifications. 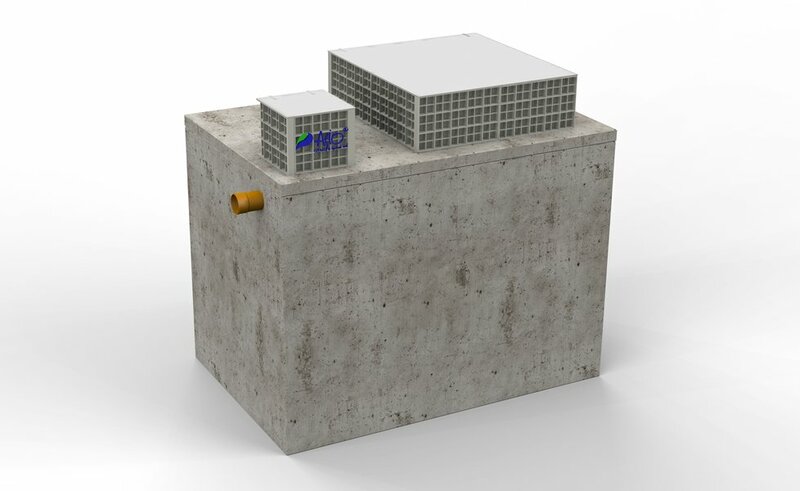 Unlike the basic AS VARIOcomp N type, the WWTP also contains a built-in pump sump that is equipped with sludge pumps and a rack basket. Wastewater is pumped directly to the activation part of the WWTP. The guaranteed values of the outlet of the AS - VARIOcomp N WWTP will be met if the design parameters and installation and operating conditions are observed. With the AS - VARIOcomp N/P or AS - VARIOcomp N/PUMP/P WWTP types, the outlet concentration of phosphorus Ptotal = 2 m/l can also be guaranteed. 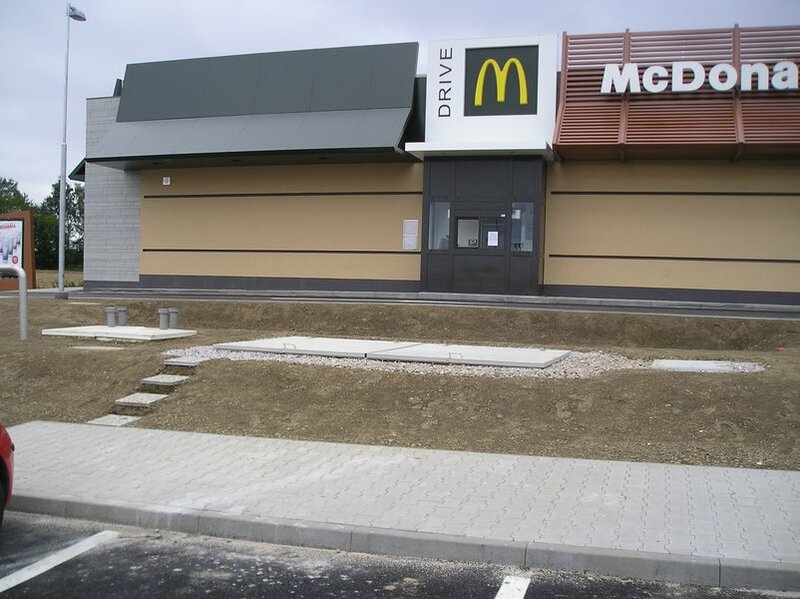 FOR MORE DETAILED DATA, ASK FOR THE DESIGN AND INSTALLATION DOCUMENTATION!